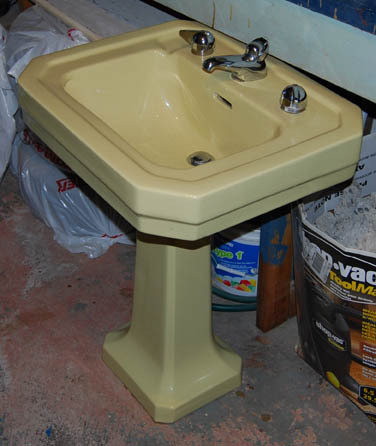 Glamorlux Nancy sends in this beautiful retro bathroom hardware set — which got away from her in an ebay auction a year ago. MIB — good stuff. 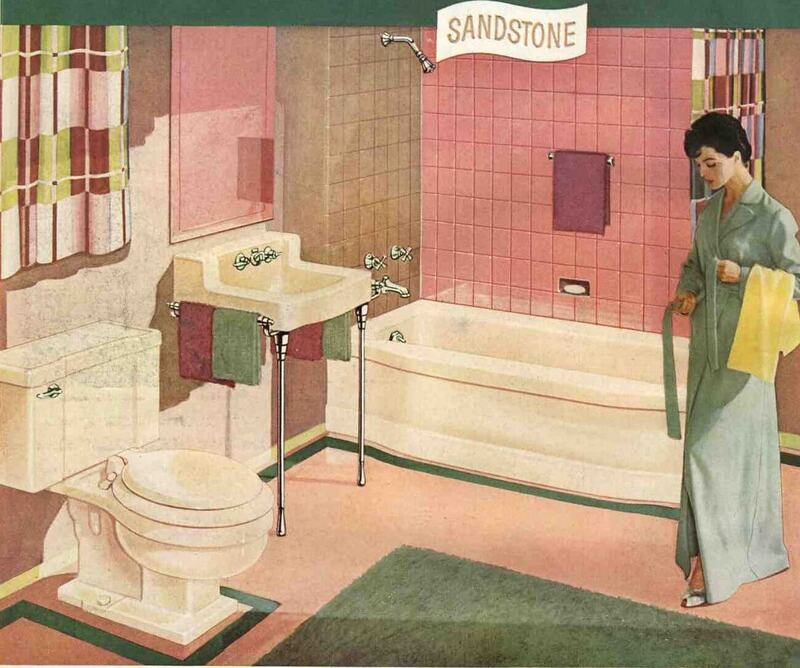 Thanks so much for featuring our bathroom! 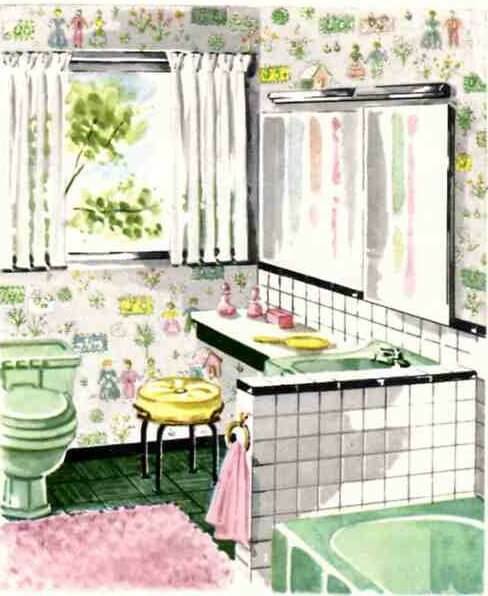 We were “tickled pink” (har, har) to see our little bathroom on the World Wide Web! 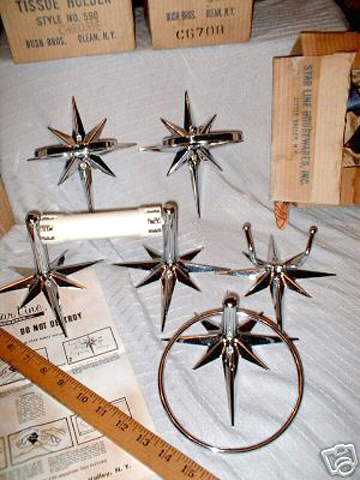 I’ve been meaning to tell you: These starburst “Star Line Housewares, Inc.” bathroom accessories were up for bid on eBay over a year ago. I was outbid on them and have been kicking myself ever since for not putting down a higher bid. Wouldn’t it be amazing if some modern company like Rejuvenation repro-ed these?! 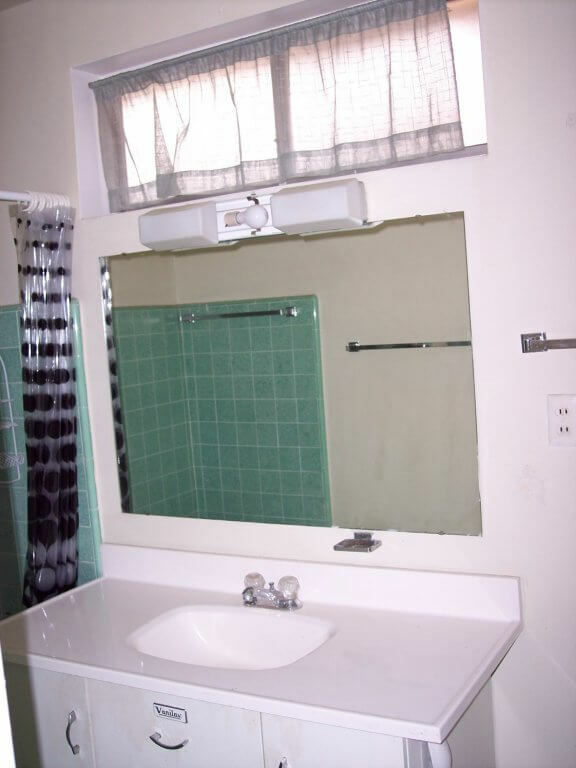 Here is the tumbler/toothbrush holder, soap dish, double robe hook, tissue holder and towel ring. Thanks, Nancy. Alas. Rejuvenation, are you watching?